The Commercial Movers are planning a seminar to announce their divergence from the coal and oil industries, completely cutting off associated investments which are very popular among movers all over the country. In addition, they will explain current investments and industries in which they plan to invest in the future. The Commercial Movers have invested in coal and oil in the past, but no more. The amount of investment into these two industries has fallen by 82% over the past three years, and the company is planning to cut off all future investments. Instead, the commercial moving service will expand its green operations, which have been rising exponentially over the same time period. Wind and solar energy are being invested in heavily, and the seminar being planned will explain exactly where the funds will go, and what the company expects in the future. The decision to cut off investment into coal and oil was made easily, according to industry executives. New, cleaner energies have been receiving new research grants from the government in past years, and advancements in the new technologies surrounding these plentiful forms of energy are on the rise. These announcements have been lauded by climate change activists and environmental conservation agencies. A company spokesperson examined the ramifications of the decision. "We expect the immediate consequences will be readily apparent, but at the end of the day an investment is what you hope to obtain in the future. We think the country is finally headed in a bright new direction, and The Commercial Movers would much rather build a new ship than sink in an old one. Wind and solar energy grabbing methods have already been added to many of our moving trucks at select locations around the country, and fuel expenditures have been greatly reduced thanks to these environmentally friendly methods." When asked what the company expects of future investments, company executives said they anticipated an unprecedented level of growth in the research funding granted to the study of hydrogen cell technology. 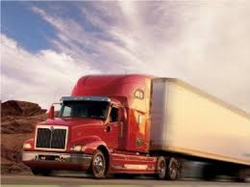 When more investment opportunities become available, the commercial moving service intends to take advantage of the new direction in the hope of being one of the first moving companies to use the technology in their fleet of moving trucks. More details on current and future investments are expected to be posted on the company website and explained in the regularly updated blog when they become available: http://thecommercialmovers.com/. In the coming months, the company has already planned events cross country in order to disseminate new knowledge in regards to the practice of recycling and how individual citizens can make a difference within their communities.